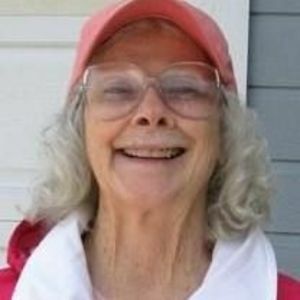 Helen Jaques Morphet, a resident of Monterey, was born December 1, 1936, and went to her heavenly home October 23, 2017, following a long struggle with Alzheimer's Disease. She was born in Monterey and graduated from Monterey Union High School in 1954. Following attendance at the College of the Pacific she became a licensed X-ray technician and a medical transcriptionist and worked in radiologists' offices in southern California and later at both Eskaton Hospital and Community Hospital of the Monterey Peninsula for many years. She married Edgar Morphet in 1960 and they had a son, Kevin. She was preceded in death by her parents Dr. Donald S. and Anne Jaques and by her husband Edgar Morphet. Helen enjoyed life and was quick to smile. She found pleasure in doing things for others, especially if it involved baking. Many were the times her brothers would receive a box of jelly bean cookies to have for their annual sailing trips. And fellow employees got to share her delicious Amish bread. One of the favorite parts of her life was in her high school years when her parents had their summer cabin at Camp Stefani in Carmel Valley. Wonderful summers spent swimming in the Carmel river, fishing for trout, BBQs, watermelon, and spending time with classmates and family were a great source of happiness for Helen and her family. She was an animal lover, with horses, dogs, and cats at the top of the list. Hiking in State Parks like Point Lobos and watching the ocean waves come crashing into the rocks were popular activities. Helen is survived by her son Kevin of Mannsville, Oklahoma and brothers Don Jaques of Anacortes, Washington, and Bob Jaques of Monterey, and five grandchildren and nine great-grandchildren. The family expresses appreciation for the care and support given Helen by the dedicated staff at Anjelica's Villa in Seaside where she lived in her final years. Contributions in Helen's memory may be made to The First Presbyterian Church of Monterey, 501 El Dorado St., Monterey, CA 93940 and the SPCA of Monterey County, 1002 Monterey Salinas Highway, Salinas, CA 93908. A private family service for Helen will be held in a few days.